What 11-year-old boy doesn’t like reading comic books about super-heroes? Not many that I know so we were happy to have the chance to review Book 1, Rescue Me! 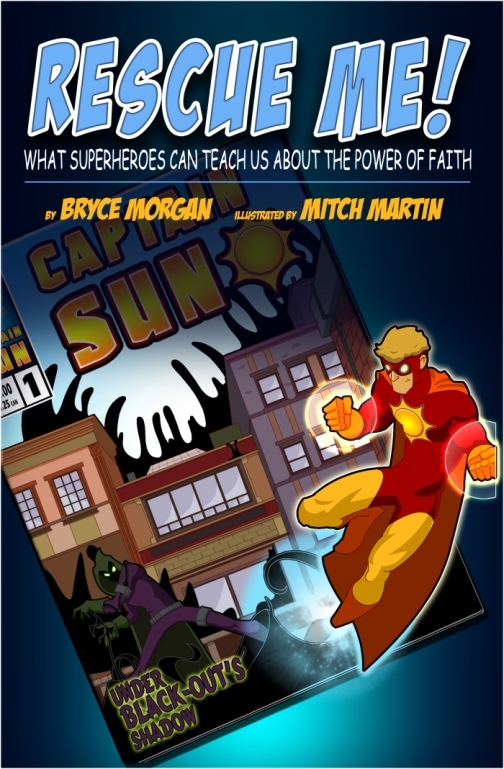 What Superheroes Can Teach Us About the Power of Faith from The Captain Sun Adventures. Bryce has also included a message to parents explaining how he has envisioned families using his graphic novel and some suggestions depending on the ages of your children for the questions and discussion points. I find it very helpful to have this right up front and not have to search for it. EJ is 11 so he read the comic on his own before we discussed it. 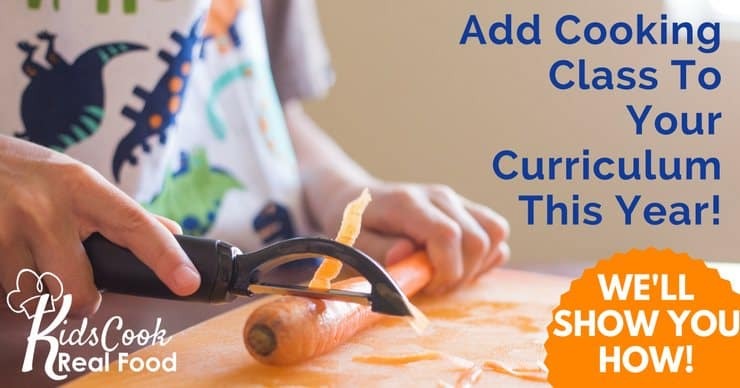 He found the words quite simple and got through it fairly quickly and suggested it would work well for younger kids as well. These questions are included in the Capital City Chronical first page that accompanies each chapter and provides a biblical explanation for the happenings of that chapter. It also includes a suitable Bible verse and a short news story about the main event in the chapter. There was one area that EJ was not comfortable with (and this could be due to our belief as Roman Catholics that one of the greatest gifts God gave us is our free will and we choose to follow him with it) was that we sin and go our own way which is always away from God. He just felt this was wrong and not aligned with what he has been taught. Of course, this still prompted a solid discussion of how different people and religions interpret things differently and how a person could use their freedom to sin. (We even looked up quotes from Pope Francis on the topic.) All in all one of the liveliest discussion initiated by reading the book so not a bad thing at all. Having these types of questions mixed in with the discussion stories helped keep EJ’s interest level high and I think, will have that effect on many kids of his age group. For this reason alone, I would recommend this book. One of our favorite chapter discussions as a family was the one talking about all of us needing to be a part of a team. This is something we try to live by. Working with others is a great way to learn about compromise and really listening to others ideas and opinions. As the book comes to a close (no spoilers, I won’t tell you what happens) there are an additional 16 “Questions to Think About.” Two per chapter, they are split up between each chapter and its corresponding Lesson page. I found these questions leaned a bit more toward the older kids in the group rather than the little ones. They call for a deeper level of thinking. Overall we enjoyed Rescue Me! 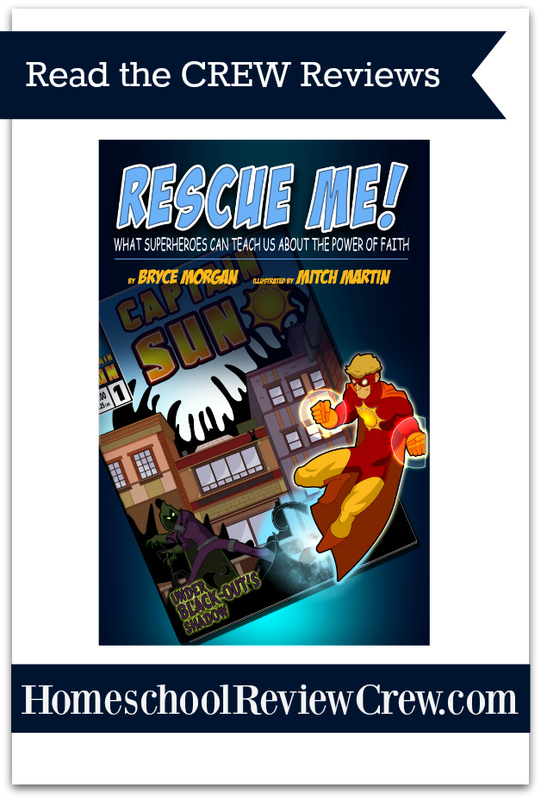 What Superheroes Can Teach Us About the Power of Faith from The Captain Sun Adventures. I liked that we were able to adapt and discuss the story within the context of our own beliefs. I also like how it is in a format that helps keep kids interested all the way to the end. 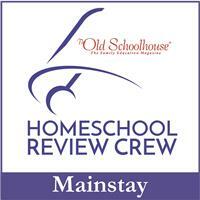 For reviews of this site from other crew families please click on the image below.